myfirstsalesjob ® is not just another sales recruitment agency. 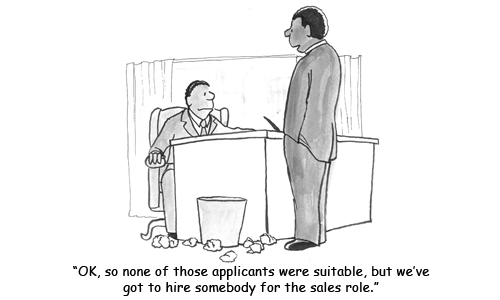 Not only are our clients frustrated with the lack of availability of quality sales staff that have the skills, drive and commitment to succeed in a sales career, but they are also frustrated with traditional recruitment agencies who do not understand their needs. myfirstsalesjob ® offers a real alternative to traditional sales recruitment agencies. Our clients only see candidates who have succeeded in our rigorous assessment processes. Once placed, appointees undergo an intensive sales training program designed to ensure success in your business.